"... (the title track) cements their theme of adventures, with lyrics laden with road trip imagery, bubbling over with ebullience." 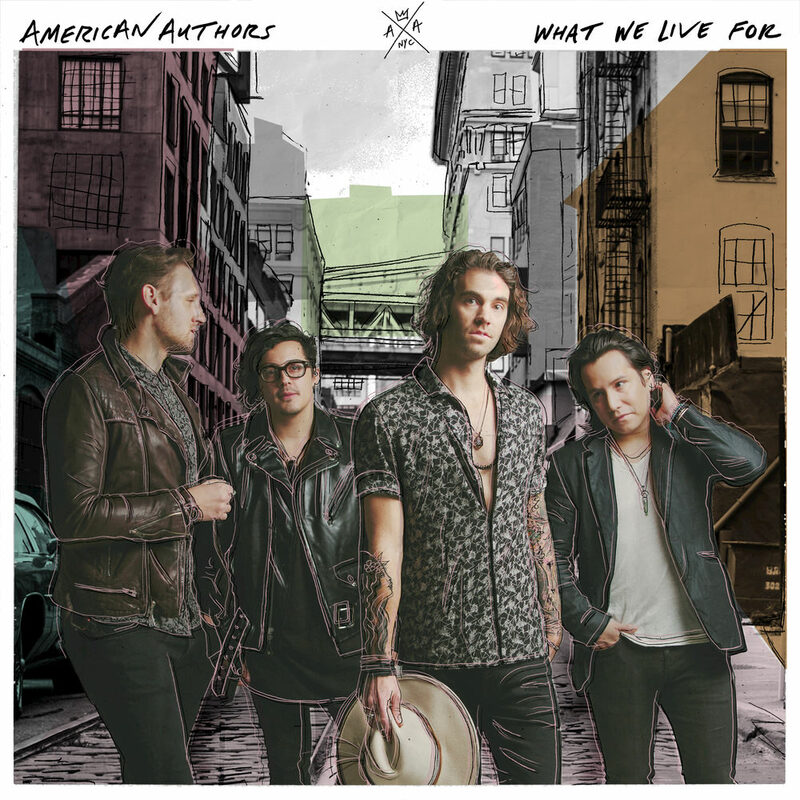 What We Live For is the second release from Brooklyn indie pop-rockers American Authors, the follow-up to 2014's very successful debut Oh, What A Life. This album was preceded by two singles in 2015 and two more in 2016, three of which became top 40 adult radio and rock hits. Producers and co-writers Aaron Accetta and Shep Goodman reprise their roles from the band's first album here. "... we tried to take a lot of the stuff that our fans like and love about us from Oh, What A Life and take that to the next level as far as sounds go ... (we) brought back some of the old instruments like mandolin and banjo, but also experimented with a lot of different sounds like vocal samples. We brought back a lot of piano (and) bigger harmonies."